There is widespread disagreement over the turning point of the American Civil War. The idea of an American Civil War turning point is an event after which most observers would agree that the eventual outcome was inevitable. While the Battle of Gettysburg is the most widely cited (often in combination with Battle of Vicksburg), there are several other arguable turning points in the American Civil War. Possibilities are presented here in chronological order. A Civil War Turning Point, furthermore, should not be confused with a Civil War Initial Turning Point and even a Civil War Major or Pivotal Turning Point. Only the positive arguments for each are given. At the time of the event, the fog of war often makes it impossible to recognize all of the implications of any one victory. Hindsight well after the fact reveals the endpoint and all the developments that led up to it. In most cases, contemporary observers may lack confidence in predicting a turning point. In the Civil War, many of the turning points cited by historians would not have been recognized as such at the time. By mid-1861, eleven states seceded, but four more slave-owning states remained in the Union—Missouri, Kentucky, Maryland, and Delaware. Kentucky was considered the most at risk; the state legislature had declared neutrality in the dispute, which was a moderately pro-Confederate stance. The loss of Kentucky (Kentucky Civil War History: HOMEPAGE) would have been catastrophic because of its control of the Tennessee and Ohio Rivers and its position from which the vital state of Ohio could be invaded. Lincoln wrote, "I think to lose Kentucky is nearly the same as to lose the whole game." On September 3, 1861, Confederate General Leonidas Polk extended his defensive line north from Tennessee when Gideon Pillow occupied Columbus, Kentucky (in response to Ulysses S. Grant's occupation of Belmont, Missouri, directly across the Mississippi River). Polk followed that by moving through the Cumberland Gap and occupying parts of southeastern Kentucky. This violation of state neutrality enraged many of its citizens; the state legislature, overriding the veto of the governor, requested assistance from the federal government. Kentucky was never again a safe area of operation for Confederate forces. Ironically, Polk's actions were not directed by the Confederate government. Thus, almost by accident, the Confederacy was placed at an enormous strategic disadvantage. Indeed, the early Union successes in the war's western theater (their only non-naval successes until 1863) are directly related to Polk's blunder. The capture of Forts Henry and Donelson, and the Confederate surrender at the latter, were the first significant Union victories and the start of a mostly successful campaign in the western theater. General Ulysses S. Grant completed both actions by February 16, 1862, and by doing so, opened the Tennessee and Cumberland Rivers as Union supply lines and avenues of invasion to Tennessee, Mississippi, and eventually Georgia. 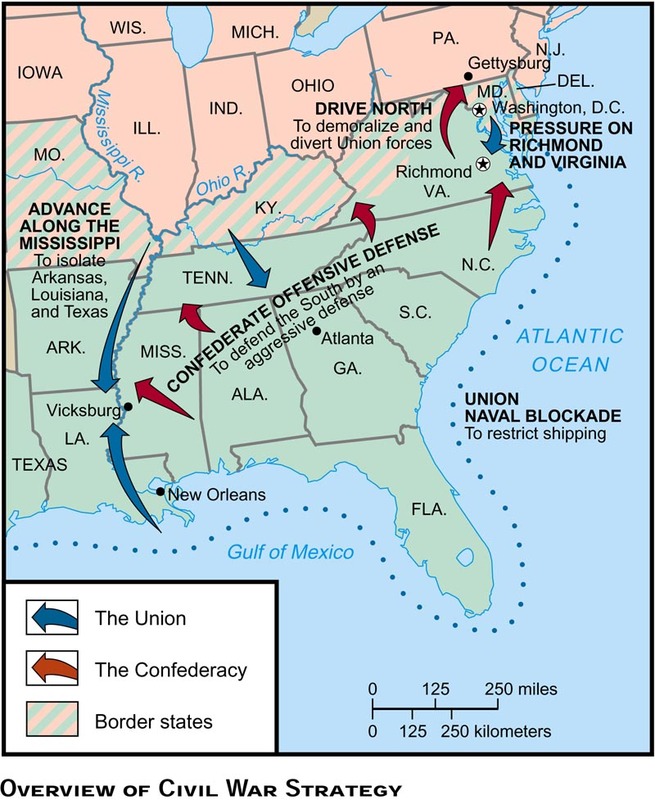 The loss of control of these rivers was a significant strategic defeat for the Confederacy. This was the start of offensive actions by Grant that, with the sole exception of the Battle of Shiloh, would continue for the rest of the war. The Battle of Antietam, September 17, 1862, was the bloodiest day in American history. (Antietam: Major Turning Point of the American Civil War?) But it also had two strategic consequences. Although considered a tactical draw between the Army of the Potomac and the much smaller Army of Northern Virginia, it marked the end of Robert E. Lee's invasion of the North. One of his goals was to entice the slave-holding state of Maryland to join the Confederacy, or at least recruit soldiers there. (See: Maryland Civil War History and Why Lee invaded Maryland.) He failed in that objective; he also failed in marshaling Northern fears and opinions to pressure a settlement to the war. But more strategically, George B. McClellan's victory was just convincing enough that Lincoln used it as justification for announcing his Emancipation Proclamation (13th Amendment, U.S. Constitution, and President Abraham Lincoln); he had been counseled by his Cabinet to keep this action confidential until a Union battlefield victory could be announced. Otherwise, it might seem merely an act of desperation. Along with its immense effect on American history and race relations, the Emancipation Proclamation effectively prevented the British Empire from recognizing the Confederacy as a legitimate government. The British public had strong anti-slavery beliefs and would not have tolerated joining the pro-slavery side of a fight where slavery was now a prominent issue. This removed one of the Confederacy's only hopes of surviving a lengthy war against the North's suffocating naval blockade. Support from France was still a possibility, but it never came to pass. (The Trent Affair, Preventing Diplomatic Recognition of the Confederacy, and American Civil War and International Diplomacy.) Antietam and two other coincident failed actions—Braxton Bragg's invasion of Kentucky (the "high-water mark of the Confederacy in the western theater") and Earl Van Dorn's advance against Corinth, Mississippi—represented the Confederacy's only attempt at coordinated strategic offensives in multiple theaters of war. After winning the Battle of Chancellorsville, the Army of Northern Virginia lost Lt. Gen. Stonewall Jackson due to a friendly fire accident. His death meant a blow to the morale of the Confederate army, as they lost one of their most popular and successful commanders. One month later, Robert E. Lee had no general with Jackson's audacity available at the Battle of Gettysburg. Many historians argue that Jackson could have succeeded in seizing key battlefield positions that his replacements were unable or unwilling to take. On July 4, 1863, the Confederate stronghold on the Mississippi River, Vicksburg, Mississippi, surrendered to General Ulysses S. Grant. The previous day, Maj. Gen. George Meade had decisively defeated Robert E. Lee at Gettysburg. These twin events are the most often cited as the turning points of the war. The loss of Vicksburg, a result from the Siege and Battle of Vicksburg, split the Confederacy, denying its control of the Mississippi River and preventing supplies from Texas and Arkansas that could sustain the war effort from passing east. As President Abraham Lincoln had stated, "See what a lot of land these fellows hold, of which Vicksburg is the key! The war can never be brought to a close until that key is in our pocket.... We can take all the northern ports of the Confederacy, and they can defy us from Vicksburg." Furthermore, the 30,000 soldiers who surrendered with the city were a significant loss to the cause. The Battle of Gettysburg was the first major defeat suffered by Lee. It repelled his second invasion of the North and inflicted serious casualties on the Army of Northern Virginia. In fact, the National Park Service marks the point at which Pickett's Charge collapsed—the copse of trees on Cemetery Ridge—as the high-water mark of the Confederacy. From this point onward, Lee attempted no more strategic offensives. Although two more years of fighting and a new, aggressive general (Grant) was required, the Army of the Potomac had the initiative and the eventual end at Appomattox Court House seems inevitable in hindsight. Gettysburg was seen by military and civilian observers as a great battle, but those in the North had little idea that two more bloody years would be required to finish the war. Southern morale was not strongly affected by the defeat because many assumed that Lee had suffered only a temporary setback and would resume his winning ways against ineffective Union generals. Some economic historians have pointed to the fact that after the loss at Gettysburg and Vicksburg, the market for Confederate war bonds dropped precipitously. "European investors gave Johnny Reb about a 42 percent chance of winning the war in early 1863 prior to the battle of Gettysburg. ... However, news of the severity of costly Confederate defeats at Gettysburg/Vicksburg led to a sell-off in rebel bonds and the probability of a Southern victory fell to about 15 percent by the end of 1863." Military historian J.F.C. Fuller contended that Grant's defeat of Braxton Bragg's army at Chattanooga was the turning point of the war because it reduced the Confederacy to the Atlantic coast and opened the way for Sherman's Atlanta Campaign and March to the Sea. Following the victory at Chattanooga, Grant was appointed general-in-chief of all Union armies on March 12, 1864. Leaving Sherman in command of forces in the western theater, he moved his headquarters east to Virginia. Previous Union commanders in the critical eastern theater had not mounted effective campaigns, or pursued Confederate forces after gaining rare victories. Grant devised a coordinated strategy that would strike at the Confederacy from multiple directions: against Lee near Richmond; in the Shenandoah Valley; against Johnston and Atlanta; against railroad supply lines in West Virginia; and against the port of Mobile. In May, Grant launched the Overland Campaign, putting the Confederates under an unremitting pressure that was maintained until the fall of their capital, Richmond, and the surrender of Lee's Army of Northern Virginia. Some contend that the successful siege of Atlanta by the Union was the turning point, since the city was the most critical point in the South. This victory lifted the spirits of the North and helped re-elect Lincoln, in addition to its military result of crippling transportation in the heart of the Confederacy, and nearly destroying the city. The re-election of Abraham Lincoln in 1864 is beyond the final point at which a positive conclusion for the Confederacy could have been contemplated. His opponent, former general George B. McClellan, ran on a Democratic Party platform that favored a negotiated settlement with the Confederacy. Although McClellan disavowed this platform, the South would have likely seen his election as a strategic victory. First Battle of Manassas: A Major Turning Point? Secession: What was the main or principal cause of the Civil War? Among the topic unifying his book are slavery, democracy, British policy, military organization and progress, and the roles of Lincoln, McClellan, Davis, and Lee. The afterword looks at the Civil War itself as a turning point in American history. In a preface to this Bison Book, James A. Rawley, considers recent books that sustain the idea of turning points during the Civil War. Review: James Rawley does a magnificent job breaking down the civil war into 7 major turning points. We all understand the impact that any civil war has on a country and how it becomes a turning point in that country’s history forever. What Rawley does is tries to answer the question of why the American Civil War ended the way it did and how easily it could have favored the other side. He takes an in depth look at the Trent Affair, Bull Run, Gettysburg and Vicksburg, Lincoln's last election during wartime, the Border states, the Emancipation Proclamation, and the battle of Antietam. All of these he lists as major turning points and gives concrete, specific details to back up his thoughts. He gives quotes from the time and from speeches given throughout the country and also dips into news articles not only from the U.S., but also from Europe. It is very simple reading and also enjoyable i would recommend it to anyone. 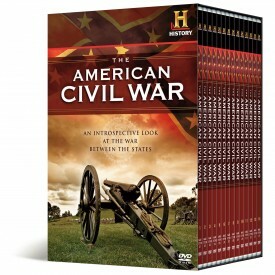 Foote's comprehensive history of the Civil War includes three compelling volumes: Fort Sumter to Perryville, Fredericksburg to Meridian, and Red River to Appomattox. 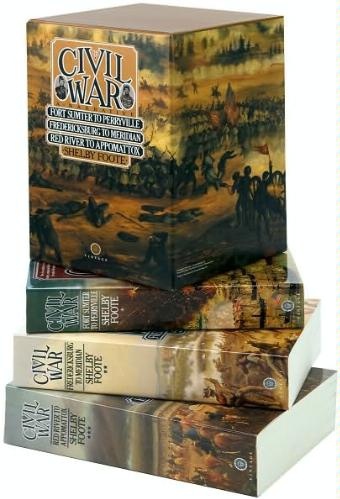 Collected together in a handsome boxed set, this is the perfect gift for any Civil War buff. While that massive project was still underway, the publisher of this series persuaded highly qualified people - most of them participants -- to produce a quick readable history in light of the new information. M.F. Force ("From Fort Henry to Corinth"), says, "The main source of information is the official reports of battles and operations. These reports, both National and Confederate, will appear in the series of volumes Military Reports now in preparation [by] the War Records office in the War Department." Alexander Webb ("The Peninsula") adds "To be of any practical use, all history, and particularly military history, must be gradually sifted and reduced to small compass." Jacob D. Cox ("The March to the Sea - Franklin & Nashville") sums up purpose and limitations: "The class of readers which has been most in mind [includes] includes the surviving officers and men who served in the war. [My] aim has been to supplement their personal knowledge by the facts ... of recent research. To give unity and symmetry to the ... campaigns here told, by examining each in the light of the plans and purposes of the leaders on both sides. The limits assigned... made it necessary to choose between the narration of incidents which would enliven the story, and that fullness to strictly military detail which seemed necessary to make the several campaigns clearly intelligible, and to enable the reader to judge, with some degree of satisfaction, the character of the operations. ...the effort to do so will give to each a broader understanding of what the great game of war really is." References: Fuller, Maj. Gen. J. F. C., The Generalship of Ulysses S. Grant, Da Capo Press, 1929, ISBN 0-306-80450-6; Rawley, James A., Turning Points of the Civil War, University of Nebraska Press, 1966, ISBN 0-8032-8935-9; Unpublished remarks by Gary Gallagher and James M. McPherson, 2005 University of Virginia seminar: Great Battles and Turning Points of the Civil War; United States Military Academy (West Point).